Trampoline and Tumbling consists of four events: Individual Trampoline, Synchronised Trampoline, Double-Mini Trampoline, and Tumbling. Individual Trampoline: George Nissen and Larry Griswold built the first modern trampoline in 1936. The design was created by stretching a piece of canvas, in which they had inserted grommets along each side, to an angle iron frame by means of coiled springs. The sport of Trampoline has evolved immensely with advancements in equipment, skill level, training regimes, safety, and regulations. Then 1936 … the first trampoline ever built. Year 2000 … Trampoline became an Olympic sport. Now … Trampoline is being trained and competed in over 40 countries worldwide. A competitor will perform two routines, each consisting of 10 different skills. These routines are made up of multiple somersaults and twists that are performed with precise technique and perfect body control. These skills are performed at heights of over 30 feet in the air ranging from single somersaults to triple somersaults with multiple twists both forwards and backwards. Competitors are judged on execution, degree of difficulty, time of flight, and horizontal displacement. Synchronised Trampoline: Is made up of two competitors (same gender) completing the same routine at the same time on separate trampolines. Routine structure is consistent with Individual Trampoline. Competitors are judged on execution, degree of difficulty, time of flight, and synchronicity. 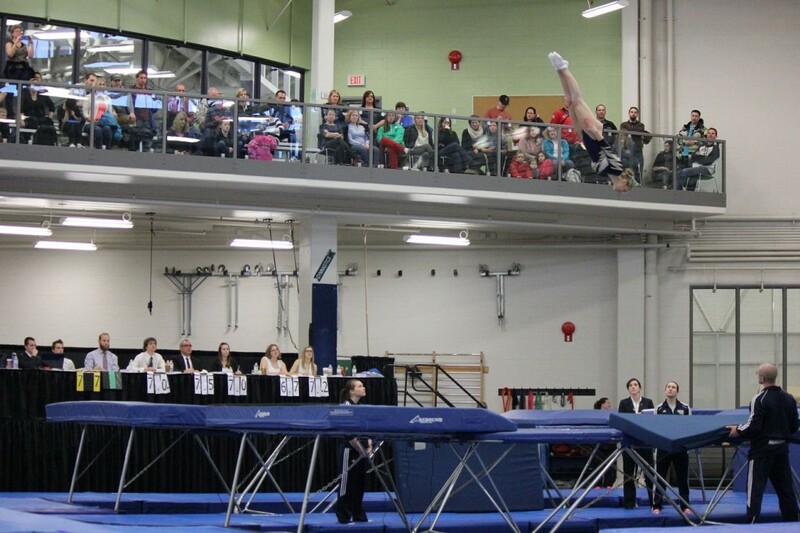 Tumbling: Competitors compete two different routines, each of eight skills (dependent on level). These routines are made up of feet to hand elements, somersaults, and tough landings. These routines are performed down an 80-foot long matted track sprung with fiberglass rods. Routines range from single somersaults to double and triple somersaults with multiple twists. Competitors are judged on execution and degree of difficulty. Double-Mini Trampoline (DMT): In a DMT routine, the athlete runs towards the DMT (a smaller, narrow, longer trampoline), hurdles onto the DMT, performing a mounting element that must travel half of the DMT, then a dismounting skill that lands onto the landing mat. The competitor performs two different routines with different skills in each. Within all levels, men and women compete separately and the system is not age-based. F.A.S.T. is a pre-competitive training program for Trampoline and Tumbling. At FAST events athletes are physically tested for strength, speed and flexibility in addition to demonstrating their prowess in a variety of T&T skills and drills on the apparatuses. 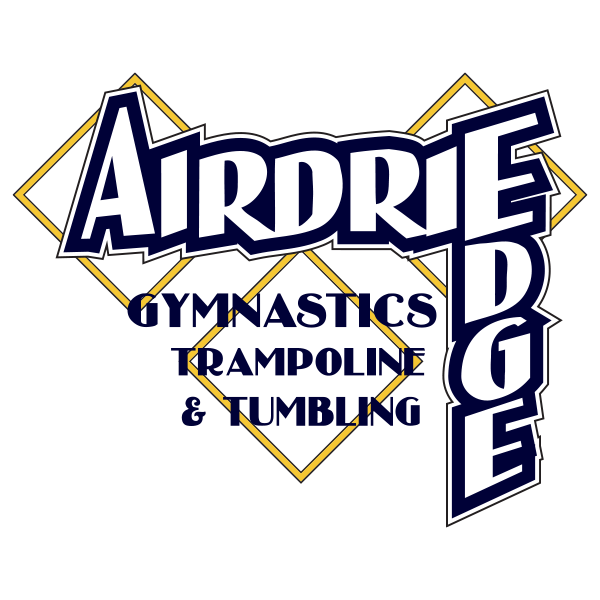 At the Airdrie Edge, these athletes train 2x/wk. for a total of 5 hours/wk. The provincial levels comprise the first four levels of the competitive program. To move into the National stream and from level to level within it, athletes must meet a mobility standard comprised of an execution score, degree of difficulty score, and specific skill requirements. The National stream consists of athletes who have taken on a more difficult skill level and higher commitment level.